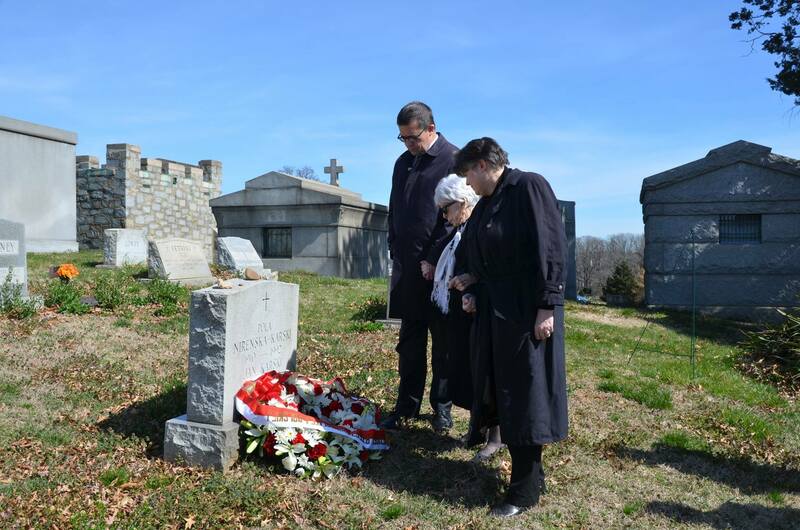 Also present was Kaya Mirecka-Ploss, a prominent Polish-American and friend of Karski. On the National Day of Remembrance of Poles Rescuing Jews under German Occupation we honor in a special way figures such as Jan Karski, as well as Witold Pilecki, Irena Sendler and the thousands of Poles recognized as Righteous Among the Nations. We also remember the countless brave Polish men and women who risked everything to save Jews during the Holocaust but who have gone largely unnoticed, and perhaps will never be publically acknowledged. We pay tribute to their heroism and their sacrifice.